whoaaaa signs, signs, everywhere a sign blockin' out the scenery, breakin' my mind Do this, don't do that. 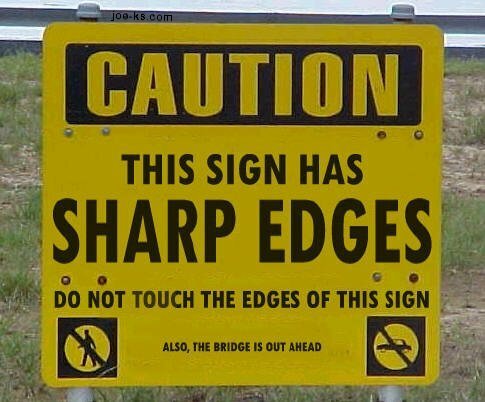 Can't you read the signs? From a song by the Canadian "The Five Man Electrical Band"